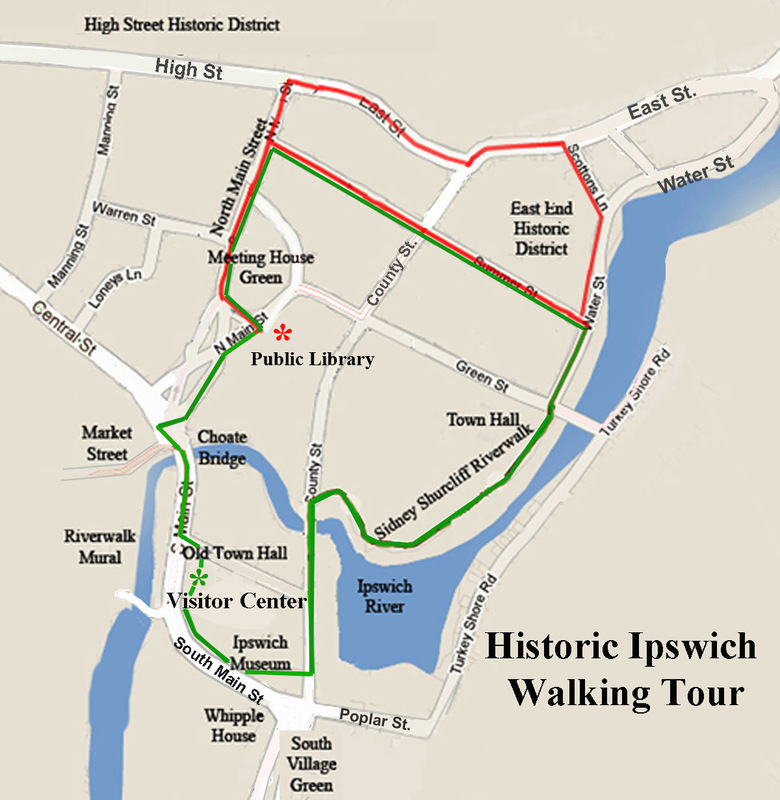 Walking tours of historic Ipswich are led on weekends by Town Historian Gordon Harris, who tells the stories of the town’s historic houses and the people who lived in the them. Scheduled tours begin in the spring and continue into the fall. The charge is $10 per person., which you can pay with cash or check at the beginning of the tour. Small children are free. To reserve or to arrange a special group tour, email Gordon Harris at historicipswich@gmail.com. Please leave your name and the date of the tour you are interested in joining. A comprehensive self-guided tour can be viewed online or downloaded as a PDF document. My mom’s family has been in Ipswich and Rowley since the Great Migration and we lived there back in the early 70s. I need to head up that way and take this tour. Great job, Gordon! Thanks for all your work on this. This is one of the best walking tours I’ve been on. Gordon’s knowledge of the history of Ipswich allowed us to understand the daily life of Ipswich resdents from the time the town was established through the Revolutionary War and beyond. We learned things the history books omit. It is worth your time to take this tour! If you have a chance, take Gordon’s tour! Even as an Ipswich resident, I learned so much about our town and our history. Take the tour, you will be glad you did!